Being an avid fan of Nintendo, especially during the GameCube years, I was turned on to cel-shaded games via The Legend of Zelda: The Wind Waker. Since then, I’ve had a fondness for the cartoony graphical style used in games as far-ranging as cartoon tie-ins and the uber-violent affairs of Suda51. Auto Modellista was an arcade-style racing game from the time period that I also had a fondness for, primarily because of its art style. Underneath however, was an informative racing game that enabled me to understand crucial racing concepts. 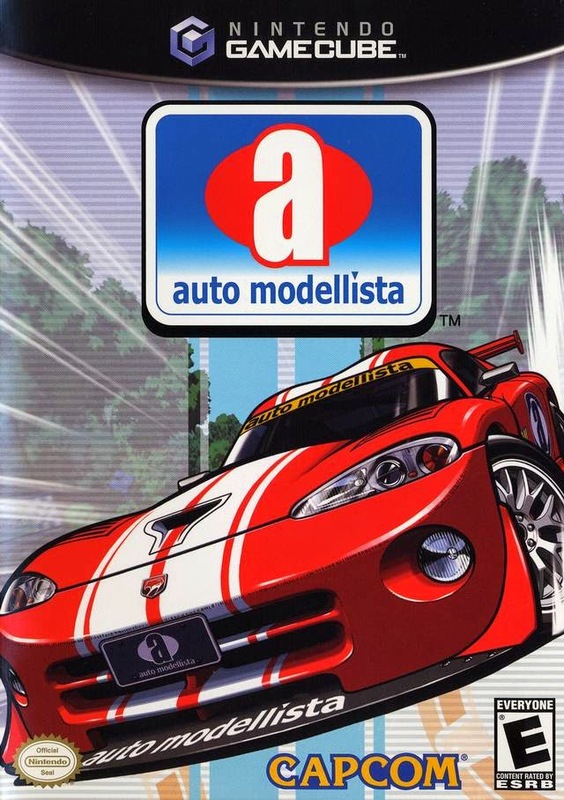 Auto Modellista originally appeared on the PlayStation 2 in 2002. Developed by Capcom Production Studio 1, the game was part of an initiative to support the PlayStation 2’s online capabilities. The other games from this group (Resident Evil: Outbreak and Monster Hunter) outperformed it, and is perhaps why this game was later ported to the GameCube and Xbox. The GameCube was the only version to lack online play, which it might as well now. Despite it including a split screen mode for two, I strictly played solo. The Garage Life mode is the primary single player mode. Freely using up to thirty cars, I completed individual races and series’ to unlock further challenges, new cars, and customization parts – even for my garage! The customization was light – most every car’s exterior could be customized in areas (bonnet, side, rear, spoiler, etc.) and most had three options. Performance upgrades were unlocked and also very limited, although they were beneficial and necessary to winning. I made sure to focus on events that awarded these first and I breezed through the game in a few hours. The courses were divided up amongst the familiar circuit design and more unique hill courses. These upward or downward winding courses were set against the backdrop of the Japanese hillside and featured ludicrous amounts of sharp turns. These sections might as well have been a scene from Initial D! They were one of my highlights from the game, particularly due to their uniqueness. With less than a dozen tracks, they didn’t have much competition. Speaking of, the opponent AI wasn’t much to deal with either. The difficulty stemmed more from the performance upgrades and whether I had them or not. One element of the Garage Life mode that I appreciated the most back in the day was the extensive information the game passed on to me via emails. With every type of car I used, I’d be flooded with emails describing it and the best way to handle the car. The same held true when I received performance upgrades or competed on a new track for the first time. This was the first racing game I played that taught me how to corner and also how to corner in a specific car setup. It was helpful when I later graduated to Gran Turismo 4! My recent replay of Auto Modellista wound up being a brief sojourn through my memories of not only the game but the video game industry when it was released. I feel it’s indicative of the then growing popularity of cel-shaded graphics and the move towards online play. 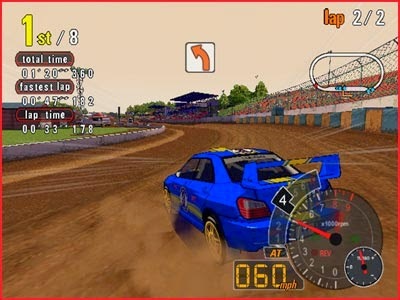 Despite those elements of the game, at its core, it’s a typical arcade racer with an extra dose of customization and simulation style information. 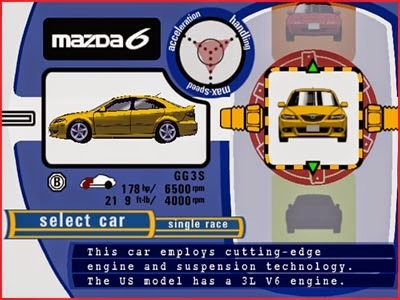 However, it’ll always be remembered for being that cel-shaded racing game.